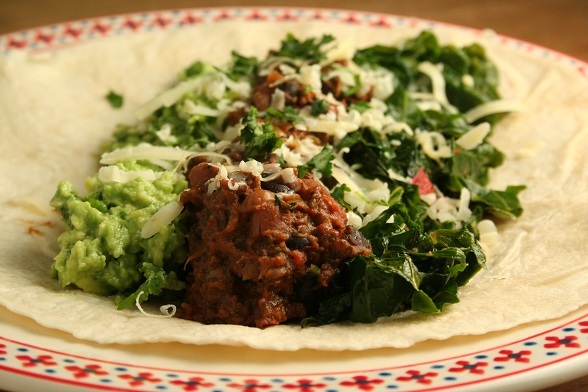 Another quick and easy dinner from the freezer of chilli with more of those garlicky greens I talked about yesterday. We usually have lettuce in Mexican-style wraps but the greens worked well, not as fresh or crunchy as the lettuce obviously but an interesting change. Since these were already in the fridge and the chilli was already in the freezer, this was just an assembly job with the addition of some cheese and squashed avocado.